Rugs USA Black Friday Is Live! Biggest Sale Of The Year! Up To 60% Off & FREE Shipping! 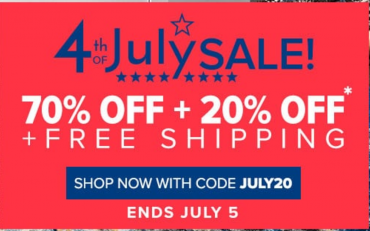 Rugs USA 4th Of July Sale! Take 70% Off Plus An Extra 20% Off & FREE Shipping! HOT! 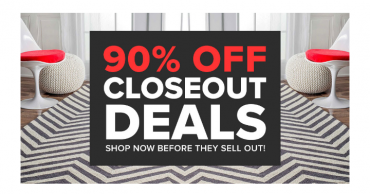 Rugs USA: Take 90% off Closeout Deals + FREE Shipping! RUGS USA Black Friday Sale Is Now Live! 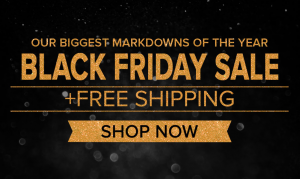 Biggest Markdowns Of The Year & FREE Shipping! 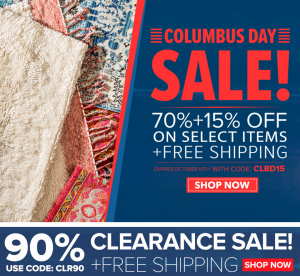 Columbus Day Sale At RUGS USA! FREE Shipping Plus An Additional 15% Off Discounted Rugs & 90% Off Clearance! 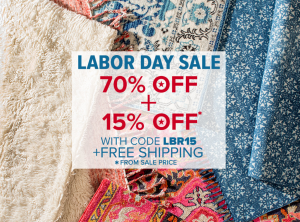 Rugs USA Labor Day Sale! 70% Off Plus An Additional 15% Off & FREE Shipping!